If you are in need of quality lawn care, look no further! Lawrence Lawn Care provides services for both residential and commercial properties in the Lawrence area. 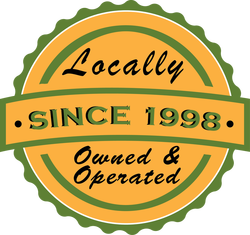 We've been locally owned and operated since 1998! We take great pride in living and serving the residents and businesses in Lawrence for all of their outdoor needs! Lawrence Lawn Care will assess your property and help you develop a customized plan that fits your lawn care needs throughout the entire year. We'll always provide you with the knowledge and expertise needed to have the best looking lawn in the neighborhood. Whether you’re looking for mowing services, tree and shrub trimming, landscape design, chemical treatments or irrigation system services, we have an excellent staff to complete the task.